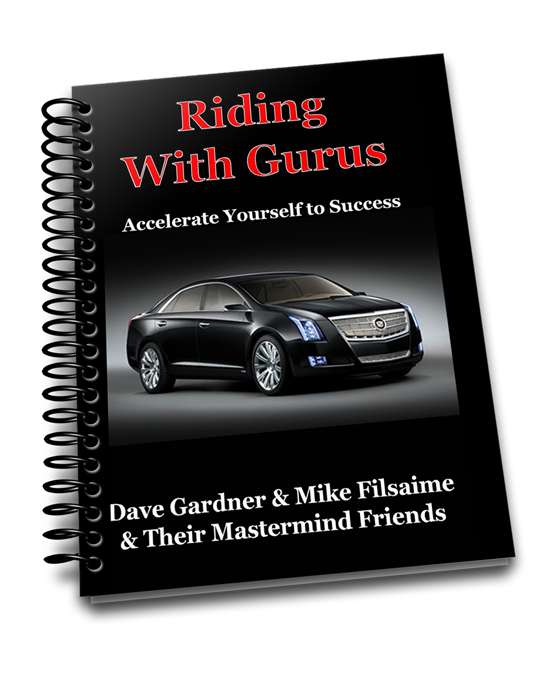 You can now grab the “Mike Filsaime Mastermind” group effort digital book called “Riding With Guru’s: How Mastermind groups help to accelerate your success”! Mike Filsaime knows all about the power of having a mastermind. You have probably heard about the parts adding up to be more than the whole, and here is the perfect example! Scott dives into the ins and outs of branding your name in domains and trademarks in this chapter which gives you the pros and cons of getting these lined up for your business! Tom Beal shares how your thoughts, words and actions can easily be modified to control the person you want to be today and 5 years from now! Josh shares how he took an 'unsustainable' and 'Not a real business model' system and turned it into millions in sales through JV partners and relationship building! Showing you how to build a proper funnel for your online business that brings viewers to your site, Bryan gets them to take action and tell others about it! Mario takes you on a journey and shows you why you need to market your reputation and gets you to realize this is the most important way to market your business online! Jane is Sokule (So Cool!) to be sharing with you her 3 step process that will help fund your business desires from day #1 and how she implemented this into her own social media network raising over $160 thousand dollars in seed money. Phil gives the dirt on how they lured some of the biggest guru's in town to show up and do mini skits with them which also helped bring home instant respect from their colleagues in and out of their local community! Don-Alan takes us sailing on the book publishing ship and gives us the ways you can cruise to having a long lasting and growing book both offline and online! Brian dares to say he has the most important chapter in the entire book...Without traffic coming to your website, you have NOTHING. He shares how to bring it to your sites successfully inside the book! The Star Wars Jedi Mind tricking marketer, Barbara shares how she broke through her own mindframe to get back to a $250K year in her business by embracing her previous failures! Winfred takes us above the clutter to stand out on the internet with integral traffic generating tips from paid to organic traffic and the importance of the updated Google + local and retaining reviews from your customers! Rick did the unthinkable and did what no entrepreneur ever wants to do...He became an employee. It worked out phenomenally for him as the timeshare resort business he now runs with his wife is raking in millions and saving their clients even more! Has social media reared up its ugly head in your business marketing plan? Sylvia dispels many of the myths around being social and gives the flat out truth to why you need to be doing this regardless of where you think your customers are located! Roelof takes us on a business plan of two companies. One that is like so many of the businesses out there going about it all wrong and another who has taken the right action steps to adjust with the changing internet climate! Whether you think it is trash or treasure, Jonathan shows you how he used eBay to keep him and his wife away from a J.O.B. and gets buyers to come to him! With a couple black and white shapes known as QR codes, Dennis shares how you can get people to your website, learn important details, listen to directions and much more! Gail teaches you how to sandwich in your new viewers and turn them from subscribers to buyers using her knowledge with solo ads! Gus takes offline techniques to blow up his online income. Through the use of simple flyers, he has done what most marketers never thought about and is doing well in the process! The brick and mortar retail stores are going to be blown away with the social media tips using Facebook that Robert shares that have helped a salon and spa bring in $400,000 in a single weekend! Ted and Sandra show you how the last few letters of the alphabet can boost your brand new domain or blog to the top of the search engines! This former top 10 hockey goalie knows what it means to be ranked high...Whether on ice or online, Matt has powerful software that helps gain status while gaining key insights to your competition! Mikkel dives deep into the value of joining a mastermind. From gaining a valuable support network to decreasing failure times, he provides many reasons why you should seek out and join a masterming! Getting inside the shoes of your viewers is one of the best things you can do. Roy shares how telling stories along the way brings your viewer into a trance where they will want more from you! Ray provides an easy to follow model that brings you from seeing what your viewers want to creating products that meet their desires! Ray compares software development to fishing with dynamite in that it is a lot more simple than most people believe. With a good idea and a programmer you too could be pulling in a big one in no time! Think your merchant account is secure? Paul shares 21 action items to take to safeguard your sales and protect your business from fraud! With the number of people turning to online methods of work continuing to explode, so does the pain felt with decreased attention to your body sitting at a computer for hours on end. See how Coach Rahz shares how to stay healthy, while building your business online! With the alphabet soup that online marketing can contain, Lee dives into the depths of MRR, PLR, RR, and UPLR and how you can master all of these resale right options! Whether you have been a victim of the Google Slap or not, Phil shares his knowledge about SEO and why you need to have a focus on this to be able to climb up the search engine rankings! 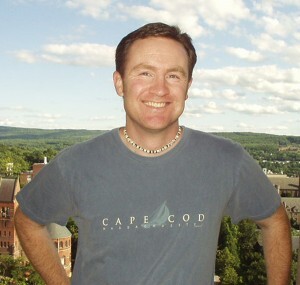 Sean shares his take on the 7 steps of life and how they play a role in your marketing and business. You will see how it is all about beginnings and not always about the end goal! Want to be a flipper? Ed shares his hot tips on how to take a domain name and flip it for profit, increasing your take 100-500% easily! Larry dives deep and swims far here in his comparison to oceans and rivers and how they relate to marketing, product launches, continuity and the software that lets you do them all with ease! Want to increase your status as an expert in 30 days or less? Mike shares how putting author credentials on your resume is going to put you far above your field and get people seeking you out! Just go below to order now and you will have it delivered to your inbox before you know it! PS: Once you complete your payment (receipt from Paypal and “Dave Gardner”) you will gain access to some great bonuses to help build your business!